2012 is fast approaching, and with it comes big changes in the Federal IT industry. WashingtonExec is giving local executives the opportunity to share their thoughts on where they see the government contracting industry headed. Leaders of the industry were asked a series of predictions questions focused on challenging issues such as cloud computing, healthcare IT, defense and so forth. 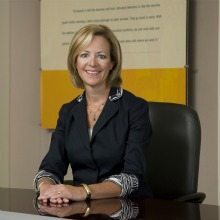 Meet Gigi Schumm, Vice President and General Manager of Symantec Public Sector, and learn what she thinks will occur in the government contracting community for the coming year. WashingtonExec: What will next year hold for government contractors? Gigi Shumm: From everything we’re hearing, we expect federal budgets to be somewhat constrained next year. In the last couple years, we’ve seen that it’s taken Congress longer to come to consensus on the federal budget for that year, and getting that through has been a big challenge. Last year, for example, we were operating under the continuing resolution (CR) for six months, and most of the CIOs that I talk to expect to face the same challenge in 2012, perhaps for an even longer period of time. Even with a smaller budget, however, we expect the federal government to still heavily invest in technology, but we’ll see a few changes in the focus. Based on what we’re hearing from customers, the federal government will look to buy technologies that are “must haves” as opposed to “nice to haves.” Among the “must haves” – and you can tell by following legislative activity – cyber security and helping agencies protect their information remains a key priority of both the administration and individual agencies. As a result, we’ll see the federal government continue to heavily invest in information-centric security solutions. Secondly, the federal government will look to buy technologies that will help them save money in the long run. The conversation has shifted from data center consolidation to data center optimization, and as a result, we’ll see federal agencies investing in solutions like cloud computing, virtualization, data deduplication, storage, backup and recovery. WashingtonExec: Will there be more M&A activity, and more IT budget cuts? Gigi Schumm: Symantec has a very robust portfolio, but we’re continually looking for capabilities that are synergistic and which help us expand our product offerings for customers. Thinking about the broader industry, while there is always a possibility for large, game-changing activity on the M&A front, the pattern lately has been adding in technologies on a snap-in basis to continue to evolving to the changing threat landscape. WashingtonExec: What shape will collaboration take between industry and government in addressing tough issues, such as healthcare, Defense, cloud, etc.? Gigi Schumm: Collaboration between government and industry is at an all-time high. For all of these areas – whether it’s healthcare, Defense, or cloud – it’s important to take a step back and realize that the nature of security has changed. It’s no longer just about antivirus and intrusion protection and firewalls, but it’s about protecting the data and protecting identities. Today, the challenge for government is authenticating who somebody is, and understanding whether or not they have access to information, what information should they be able to access, and at what rate is that information being transported on the network to make sure the information is protected at all times, regardless of the device. In healthcare, as an example, the government has been expanding its offerings in terms of benefits, and part of that includes making sure people have access to sign up for benefits online. In order to that, and ensure security and privacy at the same time, the government needs multi-factor authentication, identity management, and identification proofing. We’re working with the government now to provide the identity management and strong authentication solutions that will address their security and privacy needs.